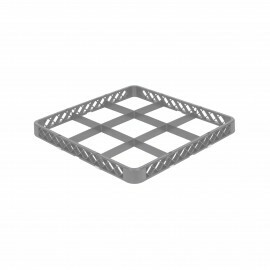 DimensionWidth : 50 cmHeight : 10 cmLength : 50 cmColorGreyFeatures And BenefitsWash and dry ramekins, utensils, mixing bowls, and more in this full-size beige flatware rack! 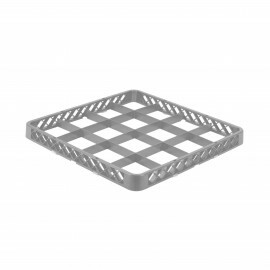 This full-size flatware rack is ideal for thoroughly cleaning all of your smaller dish-ware and flatware. 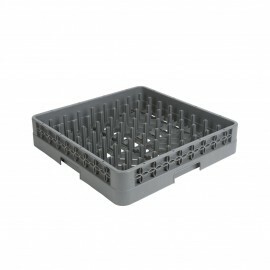 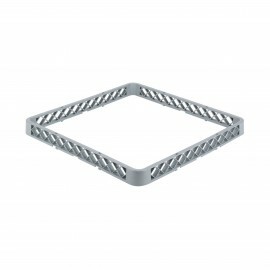 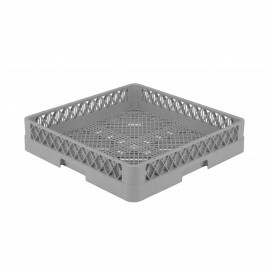 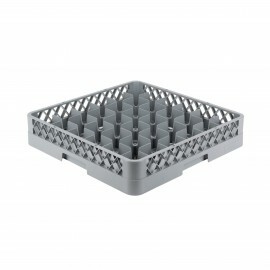 With its tight mesh sides and bottom grid, this rack prevents flatwar..
DimensionWidth : 50 cmHeight : 10 cmLength : 50 cmColorGreyFeatures And Benefits This convenient full-size peg rack will make your ware-washing easier and more efficient than ever before. 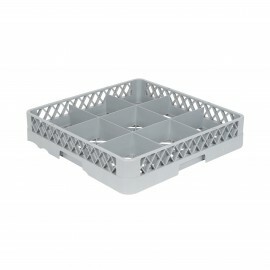 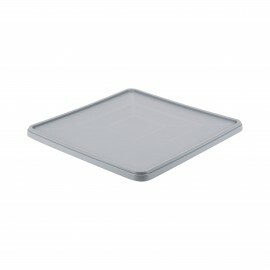 Made of polypropylene, its sturdy construction is perfect for years of heavy use. 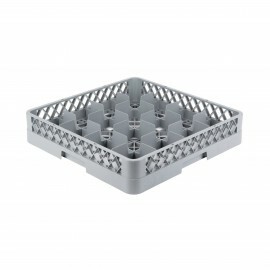 Plus, the smart design allows you to easily stack and store it with other s..
DimensionWidth : 50 cmHeight : 10 cmLength : 50 cmColorGreyFeatures And BenefitsThis 16-compartment glass rack gives you the flexibility you need with the outstanding adaptability, versatility, and durability you want in today's food service establishment! 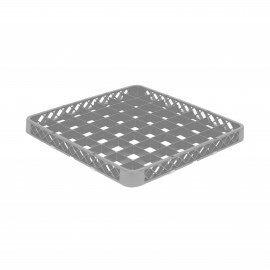 When used with racks of different colors or colored extenders (sold separately), this rack ma..
DimensionWidth : 50 cmHeight : 10 cmLength : 50 cmColorGreyFeatures And BenefitsThis 25-compartment glass rack gives you the flexibility you need with the outstanding adaptability, versatility, and durability you want in today's food service establishment! 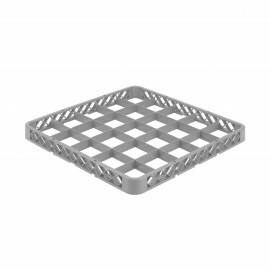 When used with racks of different colors or colored extenders (sold separately), this rack ma..
DimensionWidth : 50 cmHeight : 10 cmLength : 50 cmColorGreyFeatures And BenefitsThis 36-compartment glass rack gives you the flexibility you need with the outstanding adaptability, versatility, and durability you want in today's food service establishment! 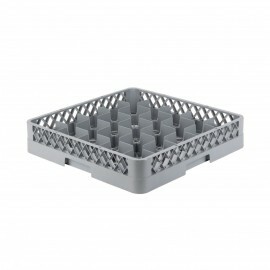 When used with racks of different colors or colored extenders (sold separately), this rack ma..
DimensionWidth : 50 cmHeight : 10 cm length : 50 cmColorGreyFeatures And BenefitsThis 49-compartment glass rack gives you the flexibility you need with the outstanding adaptability, versatility, and durability you want in today's food service establishment! 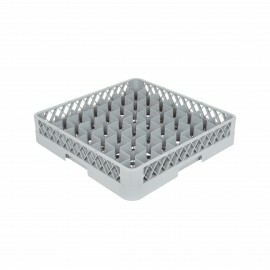 When used with racks of different colors or colored extenders (sold separately), this r..
DimensionWidth : 50 cmHeight : 10 cmLength : 50 cmColorGreyFeatures And BenefitsThis 9-compartment glass rack gives you the flexibility you need with the outstanding adaptability, versatility, and durability you want in today's food service establishment! 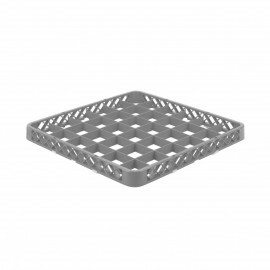 When used with racks of different colors or colored extenders (sold separately), this rack mak..
DimensionWidth : 50 cmHeight : 5 cmLength : 50 cmColor Grey..
DimensionWidth : 50 cmHeight : 5 cmLength : 50 cmColorGrey Features And BenefitsThis glass rack extender is perfect for integrating into your existing ware-washing system.This glass rack is great for storage, providing excellent protection to minimize costly replacement of broken pieces.This extender is also a great addition to color-coded sys..
DimensionWidth : 50 cmHeight : 5 cmLength : 50 cmColor GreyFeatures And BenefitsThis glass rack extender is perfect for integrating into your existing ware-washing system.This glass rack is great for storage, providing excellent protection to minimize costly replacement of broken pieces.This extender is also a great addition to color-coded sys..
DimensionWidth : 50 cmHeight : 5 cmLength : 50 cmColor GreyFeatures And BenefitsThis 9-compartments glass rack extender is perfect for integrating into your existing ware-washing system.This glass rack is great for storage, providing excellent protection to minimize costly replacement of broken pieces.This 9-compartments extender is also a gre..